For the first time in a very long while, Floyd Mayweather looked vulnerable. Marcos Maidana was wild an missed quite a lot, but he made the undefeated pound-for-pound king sweat for his belt-unifying more than ever before, and even see one judge call it a draw, which immediately has people calling for a rematch and some even considering the Argentina getting robbed of victory. The ringside judges called it a majority decision in favor of Mayweather, improving to 46-0 and unifying belts in the Welterweight division, just like he did in Light Middleweight. 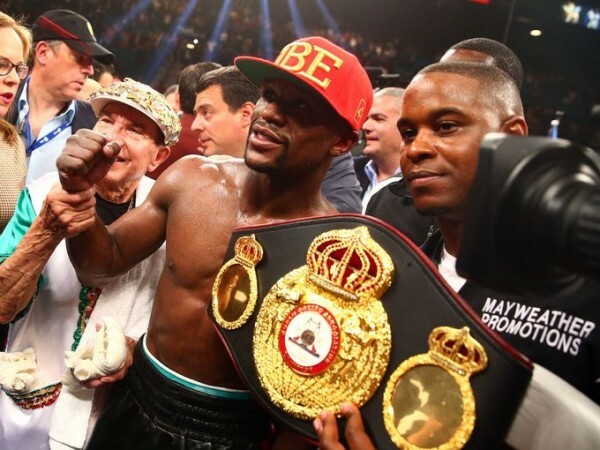 Most fighters aren’t allowed to be champions in both weight classes at the same time, but when you’re bringing in some much money like Mayweather does, the rules don’t seem to mean that much anymore, or at least not when he is the matter at hand. Maidana put on an impressive performance, and still lost 117-111, 116-112 and 114-114. Mayweather has fans, but they’re never loud enough to make it seem like the sell out crowds in Las Vegas are happy to seem him walk away with the belts and his undefeated record in tact. The thousands of Argentinians in the arena were booing the decision, thinking that Maidana, cornering Mayweahter on the ropes a few times and cutting him in the face early in the fight did enough to shock the world of boxing. Mayweather has never been hit so much since his fights have been tracked by Compubox. After the fight he said that he was trying something different, thinking about giving the fans a show. He didn’t walk away from punches and didn’t move as always. He stood there, took hits, and returned them. 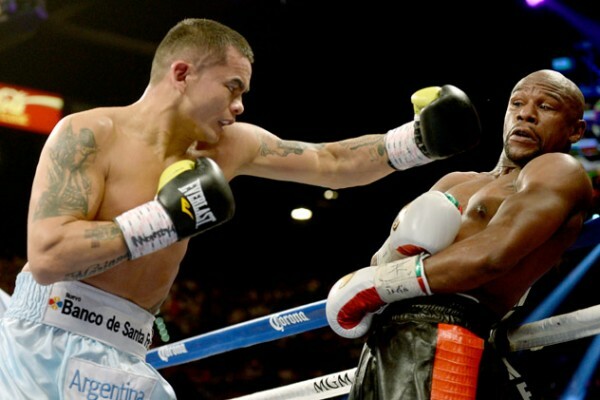 Maidana kept coming with wild overhead rights, while Mayweather was much more accurate with jabs and clean shots. Maidana said he thought he won. Few boxers who didn’t look like they got hit think they lost. Still, he landed 221 punches on Mayweather, but connected on only 26% of his attempts. Mayweather landed 230, connecting on 54% of his attempts. Accuracy counts, even if his shots didn’t create a whole lot of effect. Some body punches combinations, some good moments later in the fight, but this was probably his closest ever PPV bout. The scoring seemed a bit off. ESPN scoring the fight 115-113 looked a lot more similar to what we actually saw in the ring. Maidana was wild, sloppy and sometimes dirty, but it seems that was the only way for him to try and retain his WBA title and win the WBC one Mayweather came in carrying with him. The plan worked well early, but after Mayweather adjusted and began feeling comfortable in the pocket, we seemed further and further away from an upset. 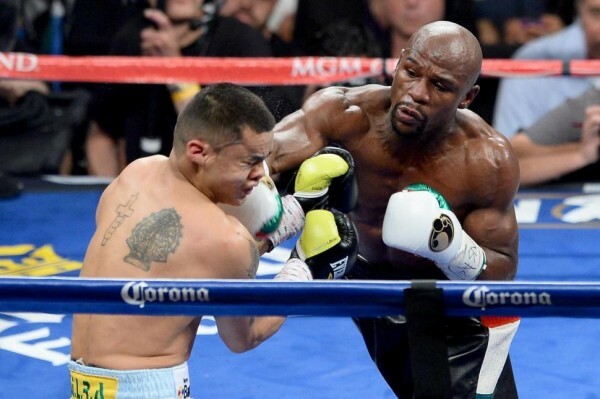 Maidana wants a rematch, Mayweather will wait. He said he wouldn’t mind one, but it depends on one thing: The PPV numbers from this fight. If Maidana proved to be a good enough draw as Mayweather’s sidekick in the event, we’re going to see the two fighters trading punches once again in September. If not, speculations about his next opponent will begin pretty soon, although no one is going to delude themselves about Manny Pacquiao and him actually getting in the ring together.